Mounted on 4 spring loaded swivel casters that retract under the user's weight. 450 lb. capacity - made from heavy-duty 1" dia. tubing. 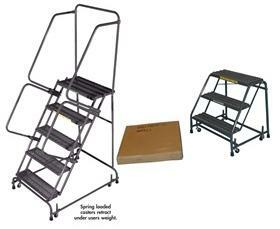 1-4 step ladders have 10" D. top step with 7" intermediate steps and ship flat in a box via UPS. 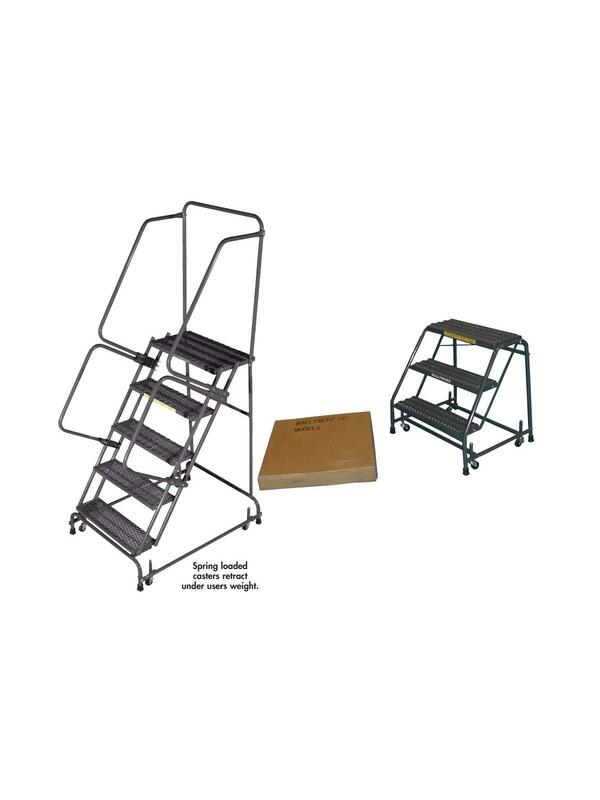 5 thru 7 step ladders have a 14"D. top step and ship KD. Ladders also available assembled (SU), see Related Items tab below. Treads available in Expanded Metal, Serrated Grating, Perforated Step, and Abrasive Mat. FOB Shipping Point. See Related Items tab for Options for Spring Loaded Casters Ladders.